In the age of the internet, online promotional videos offer the best opportunity for persistent book discovery, argues the CEO of Bookmovies.tv. The book trailers: The best plan to connect books and readers. Gabriel Pena i Ballesté is the CEO Bookmovies.tv, founded in 2012 in Barcelona, Spain. A book trailer is a kind of content that supports a book promotional campaign. It started in the late 90s in the US. Since then, the type of content available on video format has become increasingly diverse. When we speak of book trailer, we are doing so more general terms and include audio-visual productions such as teasers, or video-interviews with the author or the publisher, video summaries, video recommendations from readers or literary industry players, etc..
Internet has become a major showcase for companies oriented to a B2C model. The conventional media advertising loses weight in thematic spaces for the network. This is because the Internet is universal and accessible. Universal: the behavior of Internet users is changing and it is not an absolute standard. We, as people, have different tastes and so, we constantly move from one thing to another depending on what we want at a certain time and not much responding to advertising impulses. Accessible: To a lesser or greater extent, the truth is that any product or service can be promoted on the web. Of course, the budget somehow will determine the quality and impact of a campaign, but Internet has democratized opportunities. Everyone is on the Internet and everyone can promote anything on it. To get a book trailer right though, we need to answer the following question: What is its mission? Be careful. There is no easy answer. Internet content consumption is a sensitive issue. There are several hypotheses created around the consumption of video, but clearly the trend calls for short videos (around 20 seconds), quality (if we refer to promotional videos), and it needs to be distributed in thematic areas and in accordance with the public purpose. The most important thing: the video is no substitute for a recommendation or an opinion. Therefore, it is not a replacement for the opinions that may appear in the mainstream media or specialized portals and social networks. Nor is it a substitute for critical reviews, back covers… All these factors are involved in the process of buying a book (which, remember, is the aim of the authors and publishers: sell books). So? The book trailer is just the beginning. The book trailer and the publishing market. Each year, tens of thousands of books get published. Of these titles, the 90% go totally unnoticed. Take this example example. Imagine you have in your hands book number 23,456. This book spends one year on the market. During the first few days, it is the subject of some promotional events organized by the author and publisher, and it got some small literary reviews in local papers. During the first two months it occupied privileged spaces in some bookshops, so that the cover could compete among hundreds who sought to draw the attention of the reader. From the third month on, instead of the front, the book tried to call out to the reader’s attention from the shelf. Result: 200 copies sold. This case could be that of any of the 90% of books that go unnoticed. But this means that within this 80% there is no worthwhile literature? Do you mean that the 90% are of no interest among readers? Well unfortunately the answer is that we simly don’t know, because book #23,456 as well as 89.999% of others did not have the opportunity to reach many potential readers. Quality Impacts (absolute target audience). Metrics (unlike conventional media, on the Internet you can know where the video has been watched, who has see it, for how long and have a call-to-action buy button). Therefore, the book trailer is the best plan to multiply the visibility of book. The mission of a book trailer is to connect books and readers. From here, can we say that the book trailer increases sales of the books? Of course! It definitely solves one of the mains problems for books: the lack of visibility of a book makes it fail to get to its target audience. There is an audience for any book. But remember, it is very important to have a proper distribution of audio-visual content (book trailer) in order optimize their impact. The reader will end up buying the book if you show them they are going to like it or, even more, to love it. But before, they will have to meet. Do we help them arrange that date? 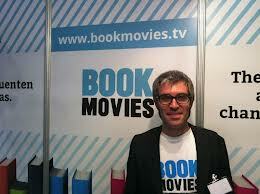 Gabriel Pena i Ballesté is the founder of Bookmovies.tv, a book marketing promotion platform in Barcelona, Spain. You can find him on line @gpenaballeste.